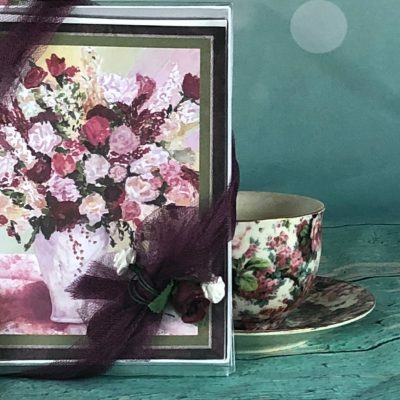 A beautiful gift set that includes beautiful art note cards. 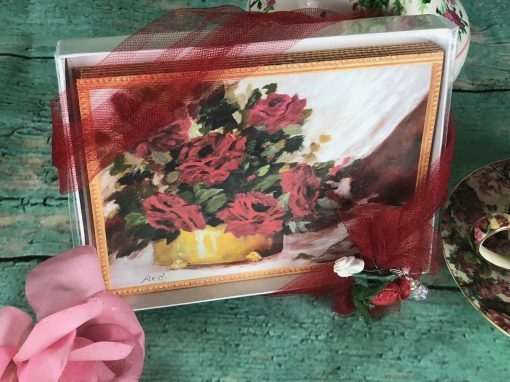 This gorgeous gift set includes an original oil painting on elegant blank art notecards. 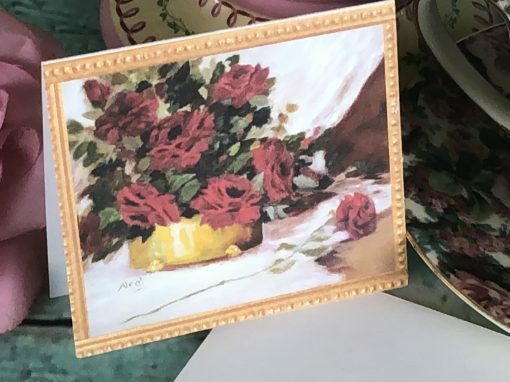 The original oil painting, Victorian Roses by Ann Neal, truly pleases the eyes with its gorgeous red hues. 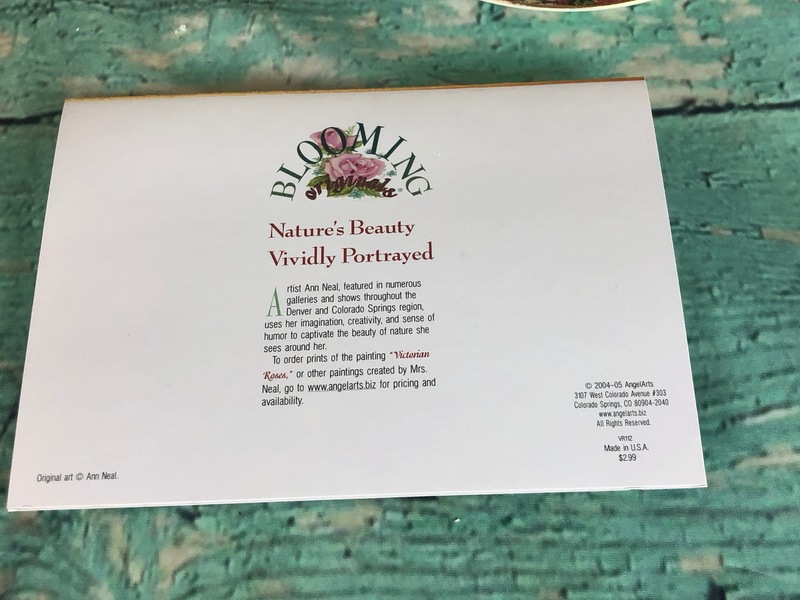 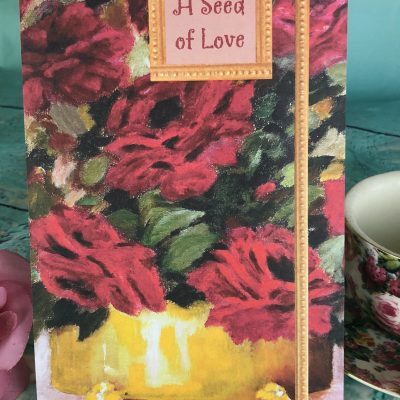 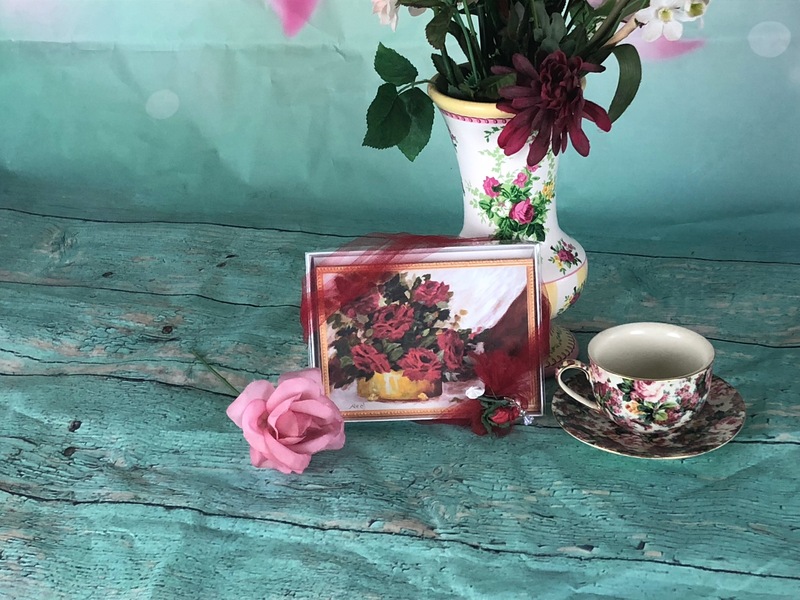 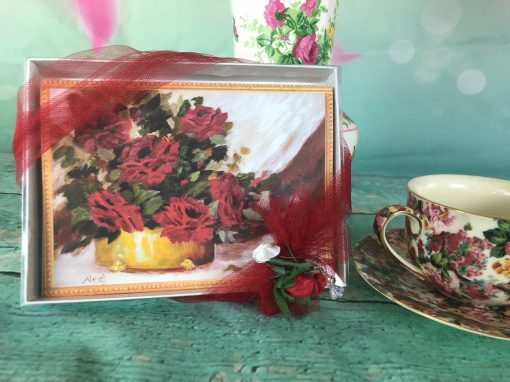 This gorgeous gift set includes the Victorian Roses painting in classy and elegant blank art notecards. 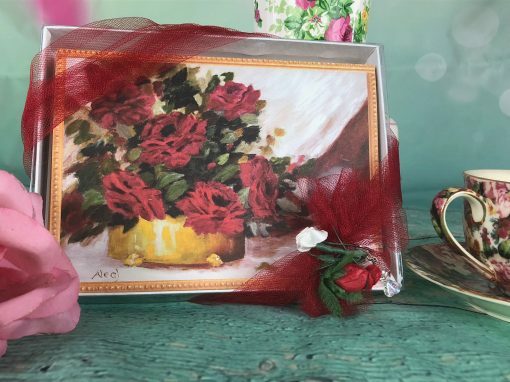 The original oil painting, Victorian Roses by Ann Neal, truly pleases the eyes with its gorgeous red hues. 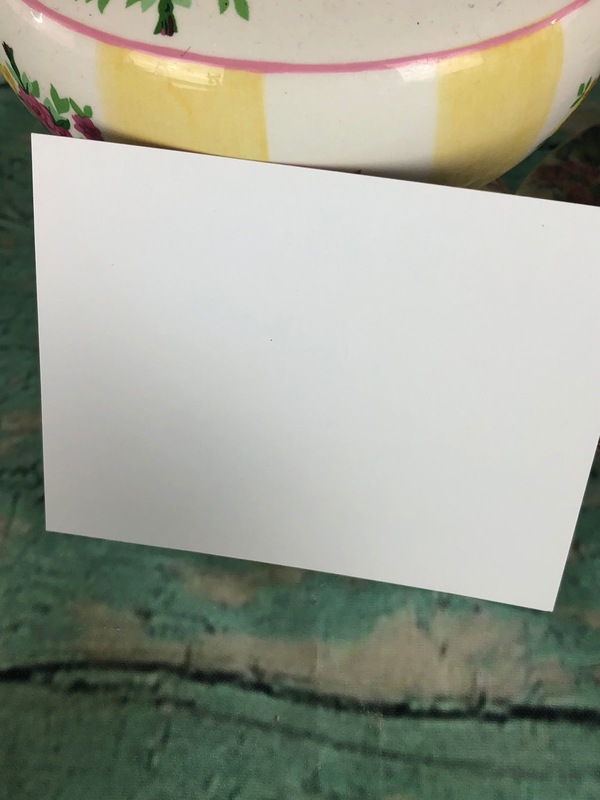 This card is professionally printed on quality paper. 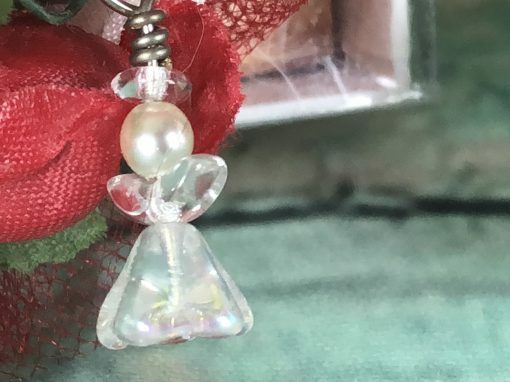 A limited number of sets include a Swarovski angel pendant. Some include other surprises. We cannot guarantee you will receive one. 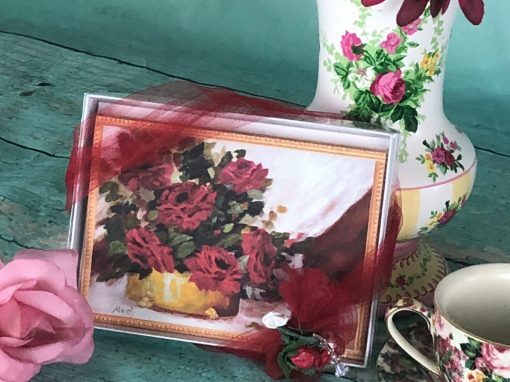 Beautifully adorned with white tulle and red and white miniature roses. 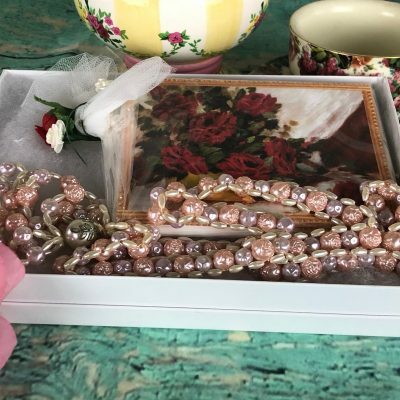 May or may not include an angel pendant. Supplies are limited.